CN: ?? RU: ??????????? ???????? JP: ??? AR: ?????? KR: ?? GR: ?e??d??? PT: Andorinha-das-chaminés UO: ??????? ???????? AF: Europese Swael TR: Kir kirlangici HE: ?????? ????? 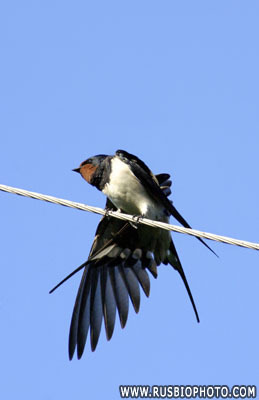 Barn swallows are small birds. 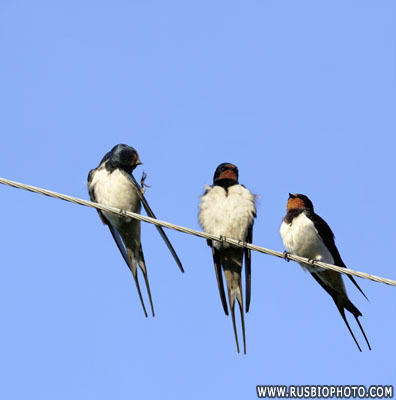 They range in size from 14.6 to 19.9 cm long, with a wingspan of 31.8 to 34.3 cm. 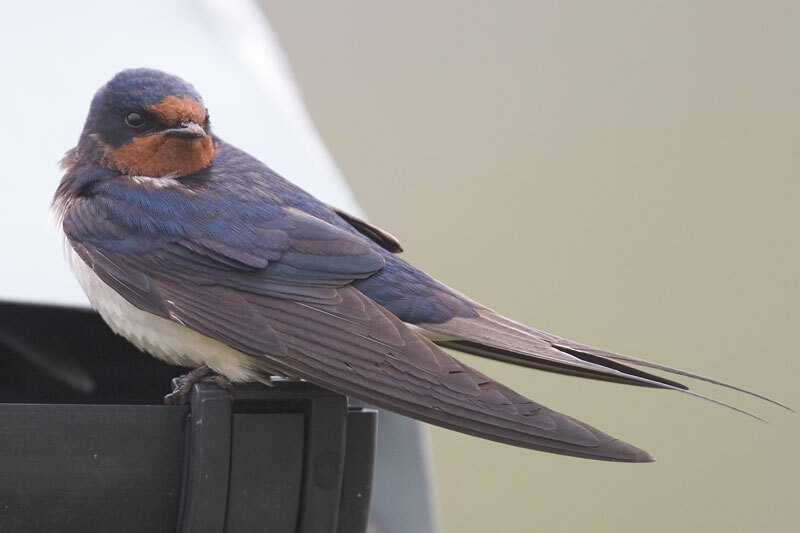 They weigh between 17 and 20 g. Barn swallows are metallic blue-black above and pale beige below. in appearance, though females tend to be less vibrantly colored and have shorter outer tail-streamers. and even on slow-moving trains. 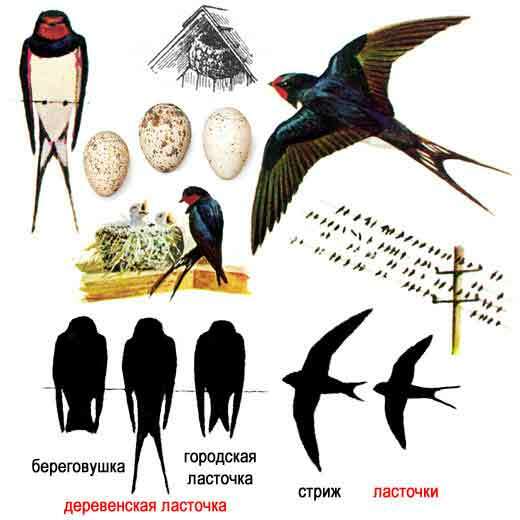 swallows includes North America, northern Europe, northcentral Asia, northern Africa, the Middle East, southern China, and Japan. They winter in South America, South Asia, Indonesia, and Micronesia. of chicks each summer. Both birds of a pair make the nest. They build the shell of mud, and line it with grass and feathers. 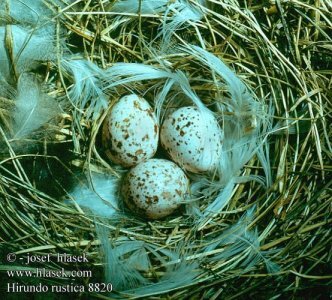 The female lays 3 to 7 eggs (average 5). of their diet. 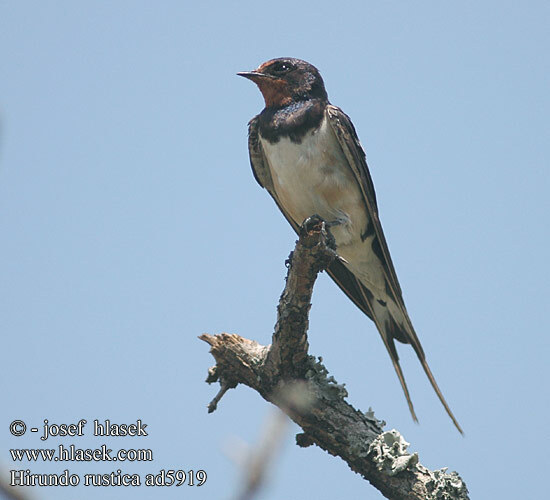 They catch most of their prey while in flight, and are able to feed their young at the nest while flying. are disturbed by the machinery. They drink water by skimming the surface of a body of water while flying.